Studio Apartment Kitchenette, ensuite, undercover parking. 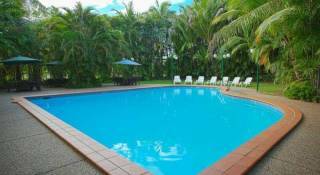 Twin Studio Apartment Kitchenette, ensuite, LCD flat screen TV, Foxtel. 2 Bedroom Apartment Kitchen, lounge/dining, spa, laundry, balcony. 2 Bedroom Townhouse Kitchen, lounge/dining area downstairs, bedrooms, laundry and bathroom upstairs. LCD TV in both bedrooms. 3 Bedroom Riverfront Apartment Large kitchen, dining and lounge area, undercover parking, TV in all bedrooms. Right opposite the river and park. 3 Bedroom Apartment Full kitchen, dining/lounge, 2 way bathroom, large private patio area with BBQ. 3 Bedroom Executive Apartment On 2 levels. 3 bedrooms on the top floor, 2 bathrooms, spa, laundry. Kitchen, dining/lounge area on the bottom floor. Balconies on both levels. 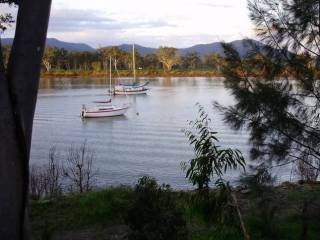 4 Bedroom Riverfront Apartment River views, 2 bathrooms, large dining, lounge and kitchen. Undercover parking. 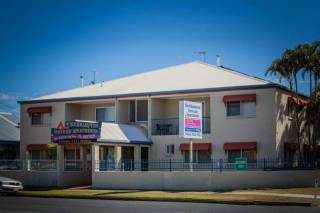 Cityville Luxury Apartments & Motel have both apartment and studio style accommodation. Cancellations must be made at least 24 hours prior to check in date and time. Cancellations received less than 24 hours, the full amount of the first cancelled night will be charged.